Greek Mathematician Hero of Alexandria invented the original windmill, a machine that harnessed wind for energy sometime around 50 AD. Do the math - 2016 minus 50 is 1,966—meaning windmill power is not “new” or “progressive” but a relic of 2,000 years ago. 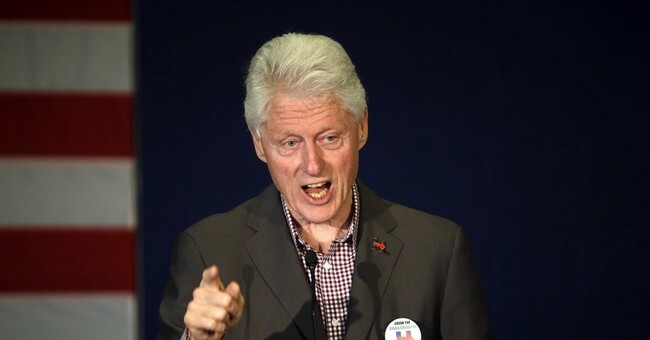 Bill was referencing his controversial decision to campaign for Hillary in West Virginia coal country after she put her foot in her mouth by saying: "We are going to put a lot of coal miners and coal companies out of business." The truth is, most Americans aren’t worried about coal power or climate change—they’re worried about terrorism and the economy. Harris Interactive found a 7 percent drop in the number of Americans who turn off their lights when not in use to increase energy efficiency and an 8 percent drop in the number of Americans who replace incandescent bulbs with fluorescent bulbs between 2012 and 2015. Coal currently supplies one-third of America’s electricity. Coal is clean and cheap, and over the years has grown cleaner and cheaper. In contrast, wind power is dirty—consuming vast tracts of land; creating optical pollution; and killing well over 573,000 birds a year. For those Americans who can afford a Tesla, their lives are endangered. Tesla is building electric cars that seem more like electric death traps. In May, a former Navy SEAL was killed while driving the Tesla S sports car and utilizing its self-driving (“Autopilot”) technology.